The current study is a cross-sectional examination of the stress-buffering effects of gratitude. Specifically, the purpose of this study was to examine whether various aspect of gratitude—appreciation of others, simple appreciation, and sense of abundance—functioned equivalently as stress-buffers and alleviated negative psychological and physical reactions to life events. One-hundred eighty-one college students completed self-report, retrospective measures of dispositional gratitude, depressive symptoms, and physical symptoms, as well as the amount of stressful life events experienced. Data were analyzed using multiple hierarchical regression. The results of the analyses revealed significant statistical interactions between appreciation of others, stressful life events, and both depressive and physical symptoms. Specifically, participants reporting a greater sense of appreciation of others also reported lower levels of depressive and physical symptoms when experiencing stress. 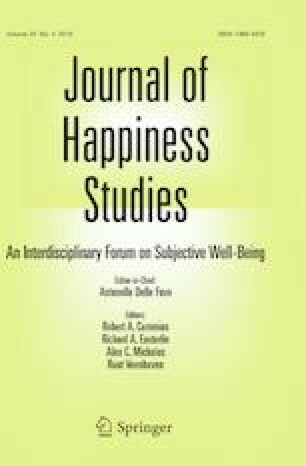 Our results are consistent with previous research that demonstrates the protective health benefits of gratitude but highlights the importance of considering the unique aspects of the different components of gratitude. We would like to thank Erin Fekete, Jessica Decker, and two anonymous reviewers for their feedback on an earlier draft of this manuscript. Berkman, L. F., Glass, T., Brissette, I., & Seeman, T. E. (2000). From social integration to health: Durkheim in the new millennium. Social Science & Medicine, 51(6), 843–857. Retrieved from http://www.ncbi.nlm.nih.gov/pubmed/10972429. Cohen, S., & Wills, T. A. (1985). Stress, social support, and the buffering hypothesis. Psychological Bulletin, 98, 310–357. Retrieved from http://psycnet.apa.org/journals/bul/98/2/310/. Fredrickson, B. L. (1998). What good are positive emotions? Review of General Psychology, 2(3), 300–319. Retrieved from http://psycnet.apa.org/journals/gpr/2/3/300/. Wood, A. M., Maltby, J., Stewart, N., & Joseph, S. (2008). Conceptualizing gratitude and appreciation as a unitary personality trait. Personality and Individual Differences, 44, 619–630. Retrieved from http://www.sciencedirect.com/science/article/pii/S0191886907003431.